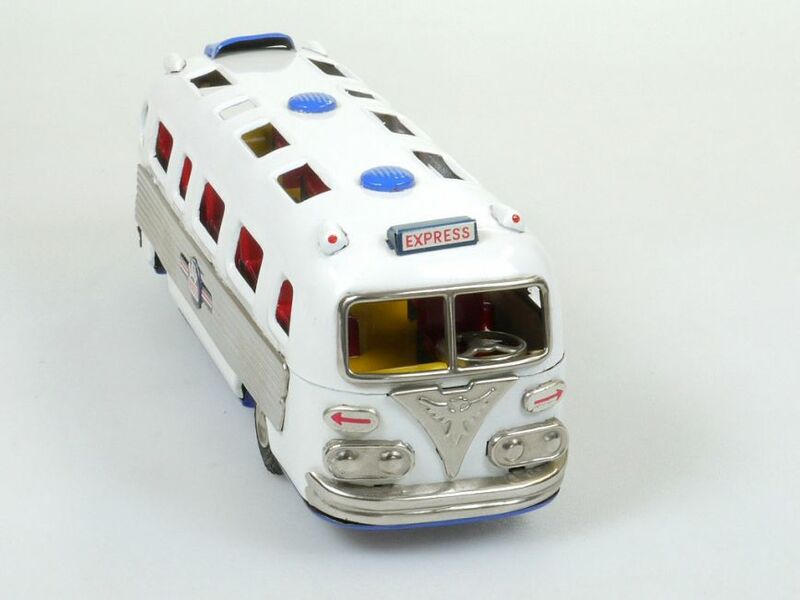 Der seltene Airport-Express-Bus ist in einem TRAUMZUSTAND!! 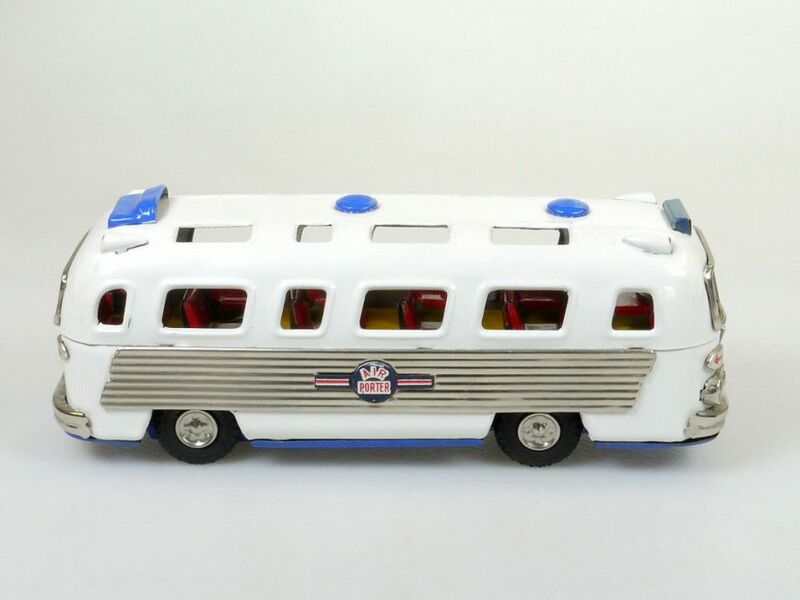 - Das Fahrzeug ist in allen Belangen original und neuwertig erhalten ohne Originalverpackung - Fahrzeug mit nur minimalsten Alters- und Lagerspuren - Friktion erfolgreich geprüft - rare toy is really near mint with minimal ware at the base plate - it' s all old and original! 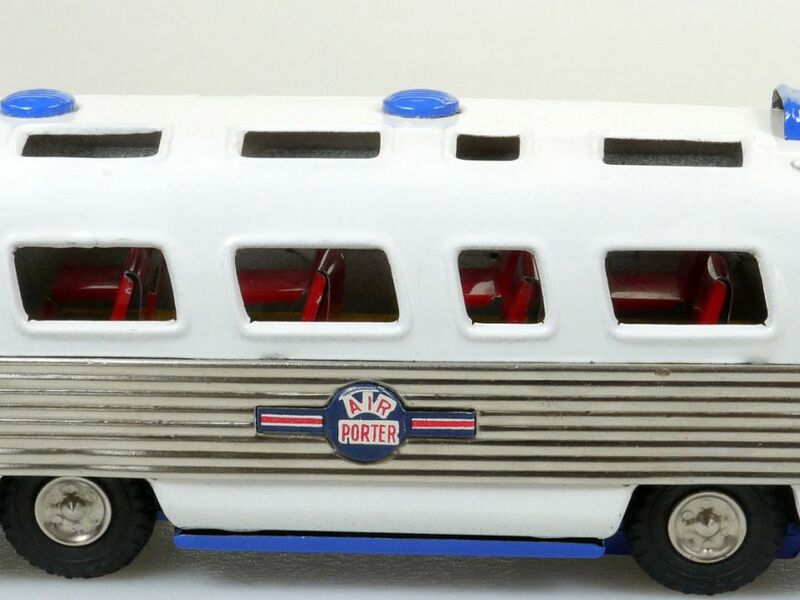 Very rare and hard to find tin friction Air Porter Sightseeing Bus made by SSS of Japan. 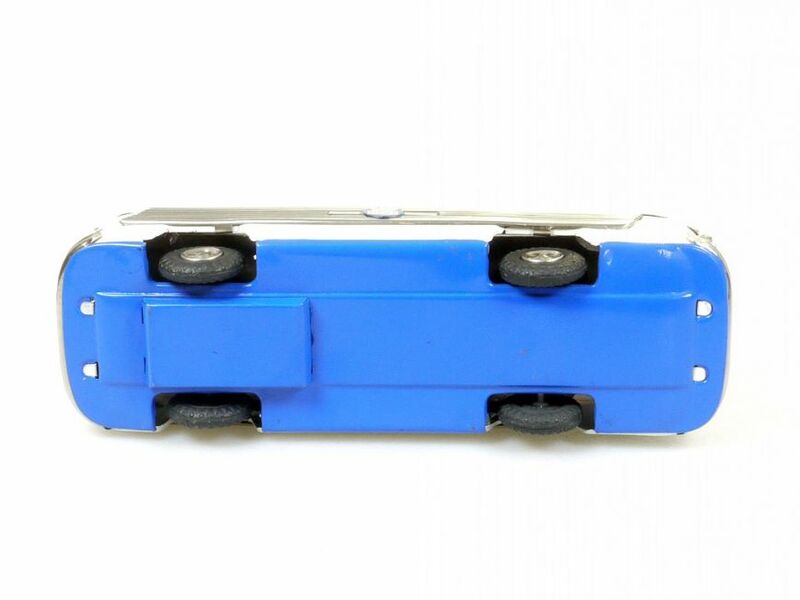 The bus measures 7 3/4 inches or nearly 20 centimeters in length. 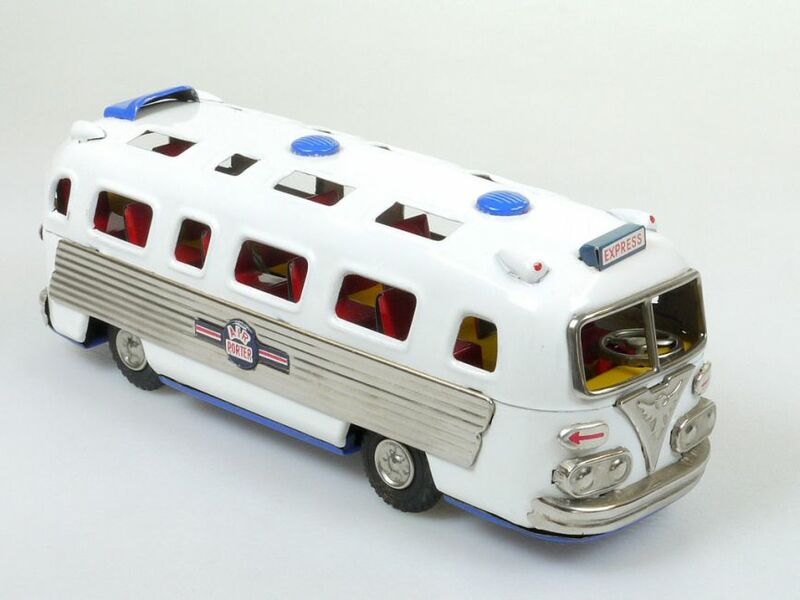 You can find the rare bus pictured on page 130 of the Andrew Ralston book called "Tinplate Toy Cars". 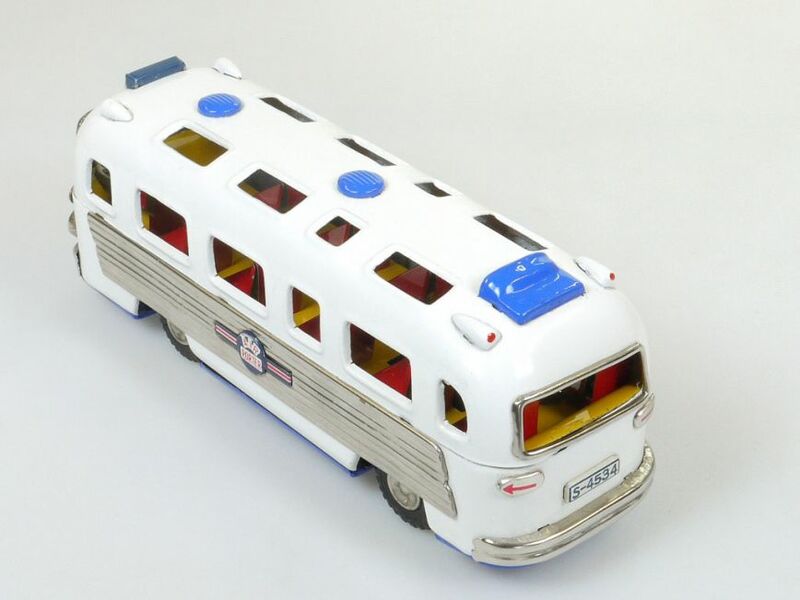 The book notes that the box mentions the bus as belonging to the Gray Line, a popular U.S. company that ran sightseeing tours. (the box spells the company as Grey Line, but it was really Gray Line.) 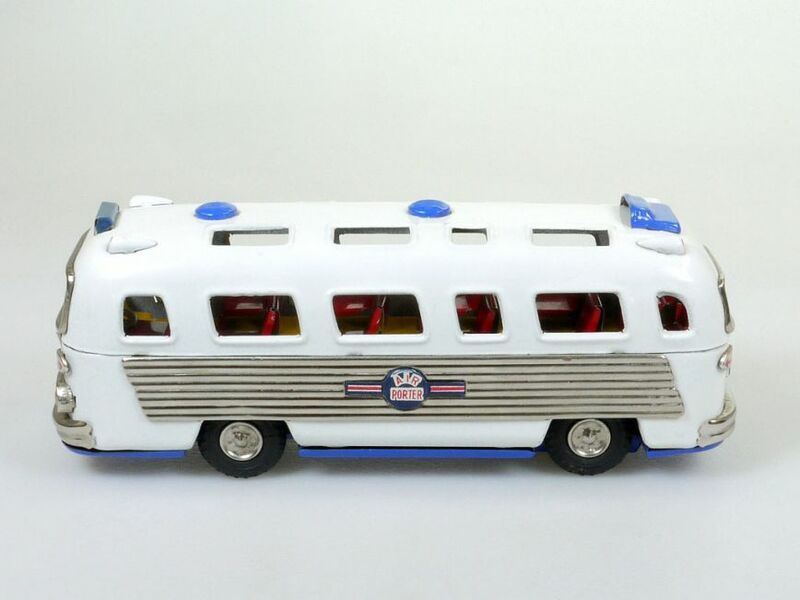 Please remember: we do not have the box for the bus, just the bus itself. It's only an information from the book.